One of the most important, yet most hopeless topics in our lives is happiness. What is happiness? How do we find happiness? And most importantly how do we make it last. Happiness is a state of well-being and contentment we reach when we feel satisfied. The so-called pursuit of happiness is a quest that takes most people the majority of their lives but never really seems conquered. We put a lot of energy and thought into things and people that are supposed to make us happy, just to find out that they can’t. Real happiness, however, is found in Christ and in his everlasting love. 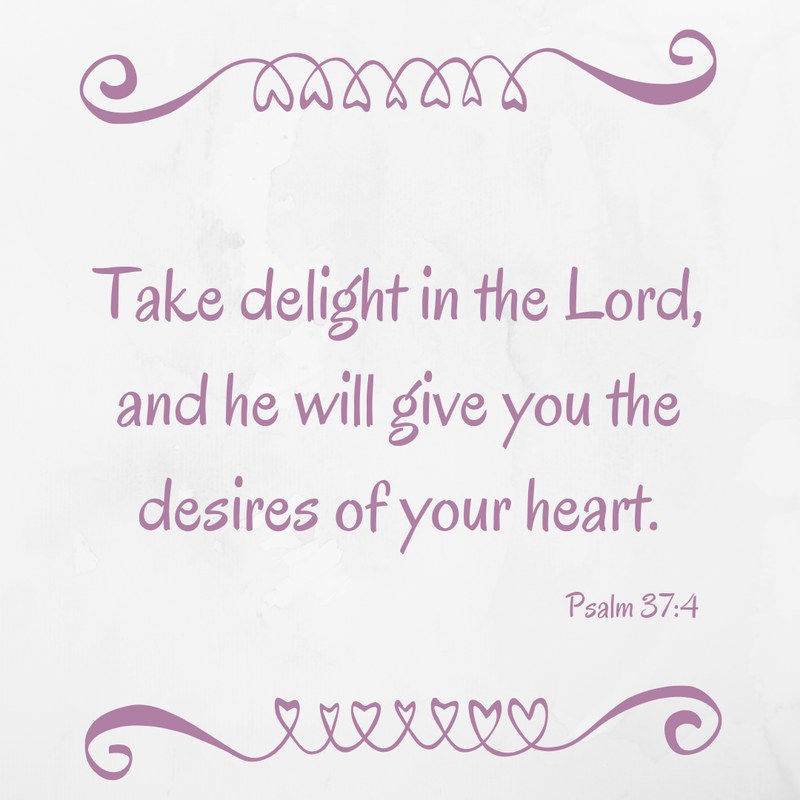 Like the song says ‘you give me joy down deep in my soul’, God is the one that provides it. 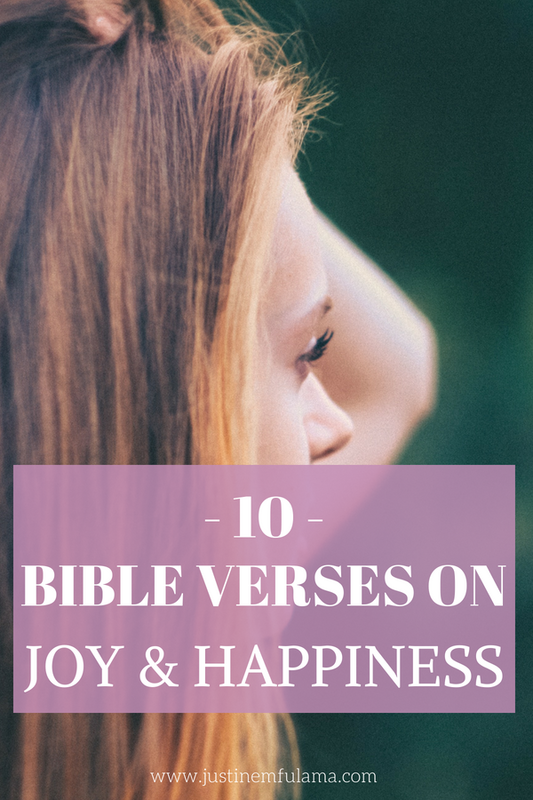 Here are 10 Bible Verses about Happiness and Joy. I am not saying this because I am in need, for I have learned to be content whatever the circumstances. I know what it is to be in need, and I know what it is to have plenty. I have learned the secret of being content in any and every situation, whether well fed or hungry, whether living in plenty or in want. I can do all things through Christ who gives me strength. I want you to ask yourself these two questions: Are you only happy when life goes as planned? Or do you still rejoice in God even when times are hard? The first time I read this scripture, I identified the most with question number one. Whenever my perfect life had a crack I felt depressed and hopeless. But whenever my professional and private life was thriving I felt good about myself and my life. My happiness was solely depending on external factors and I allowed my circumstances to control me. In these happy bible verses, however, Paul teaches us that our joy and strength doesn’t come from the world or our possessions but from Christ. And in order to be content in any circumstance, we need to make God our source of joy. This bible verse about happiness is very clear: If God is not in it, you are wasting your time. No matter how much material wealth you accumulate on this earth, at the end it won’t make you happy. True satisfaction comes from knowing God, who will bless the ones that live according to his purpose. Unlike what many people believe, following the rules doesn’t always have to be boring or lame. To the contrary, following God’s guidelines, gives joy and wisdom, which improves our lives. A direct, but true bible verse about happiness. Out of the 10 Bible Verses about happiness, this one gives us an idea of how to find true happiness. That is by enjoying God and living for Him. If your pursuit of happiness doesn’t resemble the pursuit of Christ, then all your work is for the birds. I keep my eyes always on the LORD. With him at my right hand, I will not be shaken. Therefore my heart is glad and my tongue rejoices; my body also will rest secure. The bible doesn’t promise us an easy life, in fact, it promises us persecution and suffering for following Christ. Nevertheless, we can be confident that God is always with us. And even when we can’t control or understand a situation, we can still experience joy knowing that we are safe as long as we follow God. And what is even greater is that all the joy and happiness we will feel at Christ’s return will be greater than any pain or hardship we encountered on earth. True joy that comes from God is full, eternal and pure. No other joy can fill you up like it. 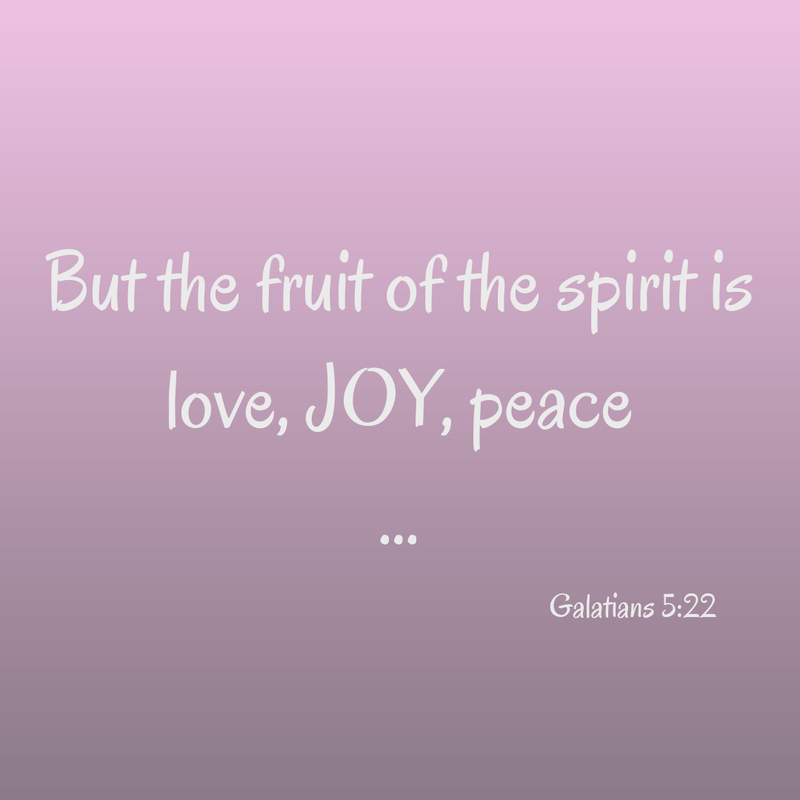 Joy is a character trait produced by the holy spirit in us, which means that in order to experience real joy we must know Christ and spend time with him. Joy has to be cultivated and sought after even in times that are hard. Whenever life takes a turn for the worst you have a choice to make. You can be desperate and give up or you can choose to make the best out of the situation and power through. By going with the latter, you open a path to happiness in the midst of the storm, because the outcome will mean a deeper and stronger faith. May the God of hope fill you with joy and peace as you trust in him, so that you overflow with hope by the power of the Holy Spirit. The last verse of the 10 Bible Verses about Happiness and Joy is my favorite. Before I turned my life over to Christ and trusted Him, I would lose hope and joy whenever I was facing challenges. 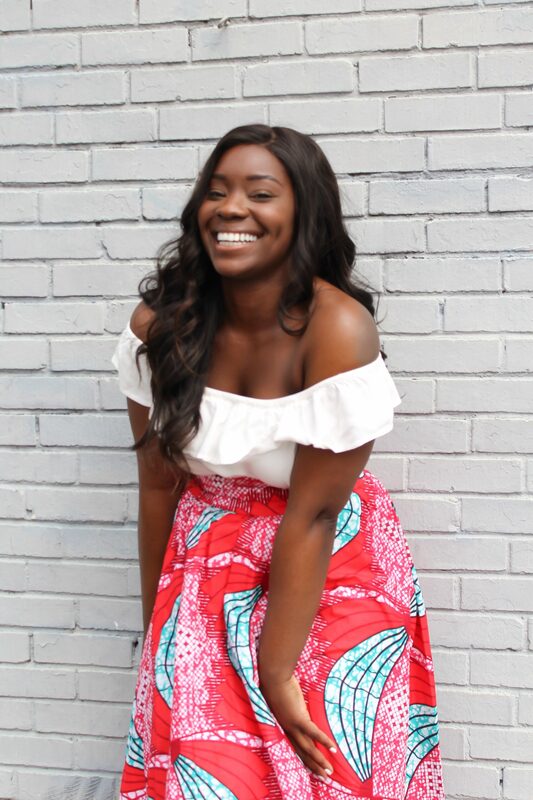 But today whenever life gets hard (and trust me it does on a regular) I remember that nothing is impossible for the God I serve and that allows me to stay happy. 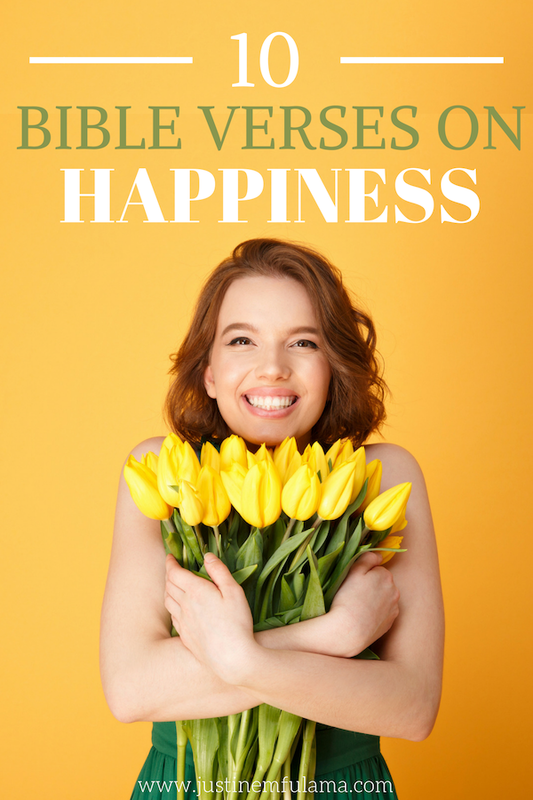 I hope that these 10 Bible Verses about happiness, will help you find joy in your current season. Which Bible Verses about Happiness and Joy do you use? Share BELOW! Hi, Justine, great job, true happiness is found in Jesus Christ only. There’s is no other lasting source of happiness – they will all fade. I like the way you presented and explained these wonderful Bible verses about happiness. Amazingly put together …. continue to bring inspiration into the lives of others.